Usually SD Cards are formatted in FAT32 but let us check first. Insert your SD Card on your computer. Open a File Explorer and navigate to This PC. 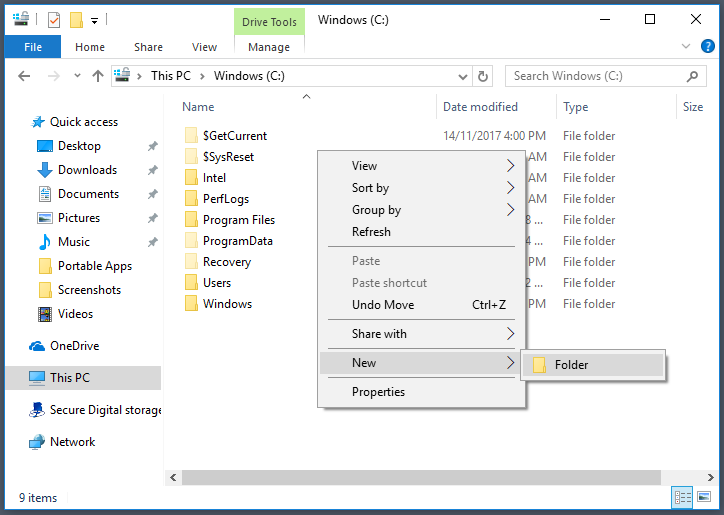 Right Click on the SD Card Drive and then press Properties. Check the File System on the Properties window. 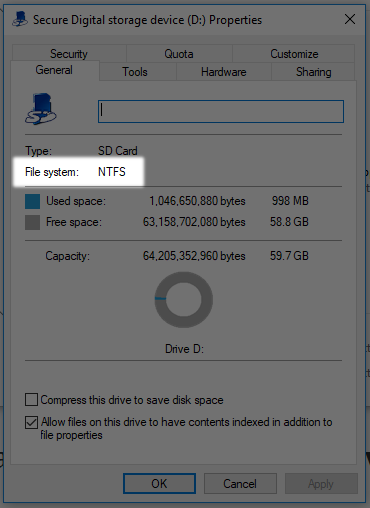 If the File System of your SD Card is NTFS, then you can jump to Step 3. You no longer have to do Step 2. 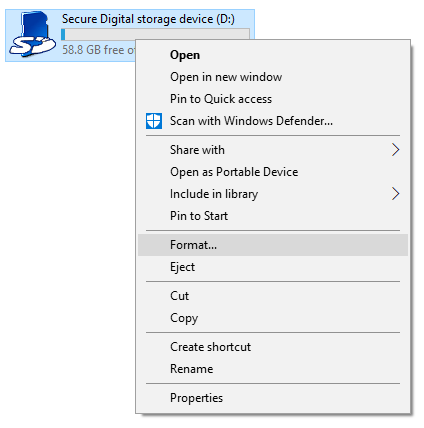 If the File System of your SD Card is other than NTFS (i.e. FAT32) then you would need to do Step 2. 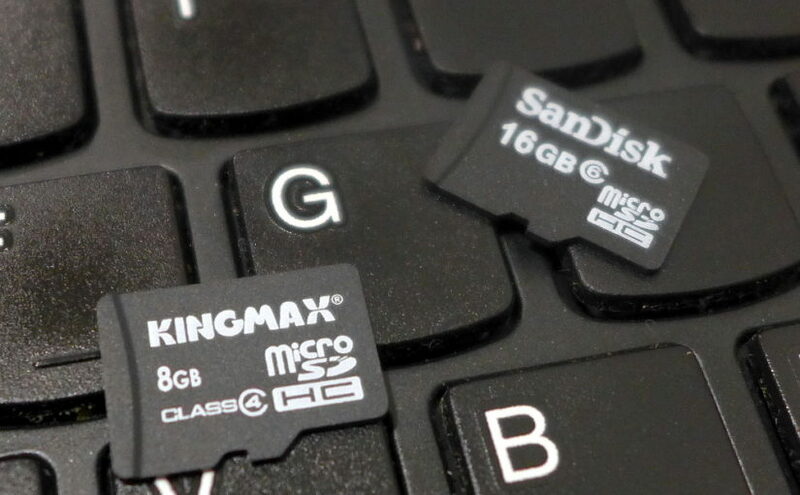 Warning: This step would remove all the files in your SD Card. Be sure to back-up before doing this step. 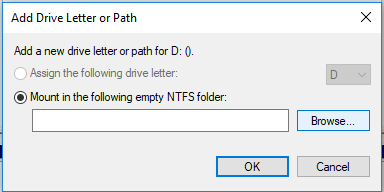 On the next window select the File System to be NTFS. You can leave all other properties as they are. Personally I leave the Volume Label blank and the Quick Format checked. Then the Formatter would warn you that it would delete all files. If you are okay with this, then press OK. This will start the formatting process and when it is finished then another Window will pop-up and tell you that the Format is completed. 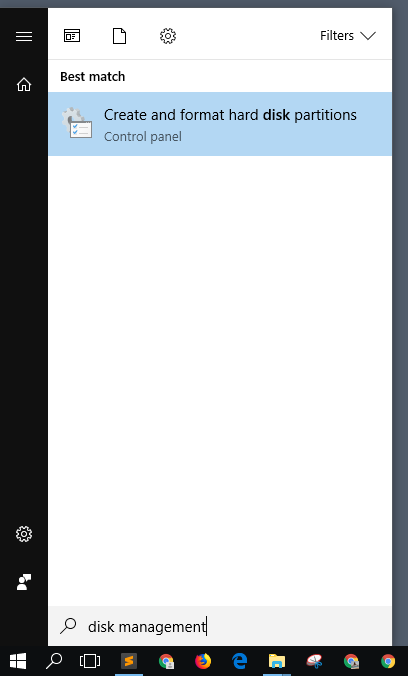 Open a File Explorer and go to C:. Then create a folder named SD Card. 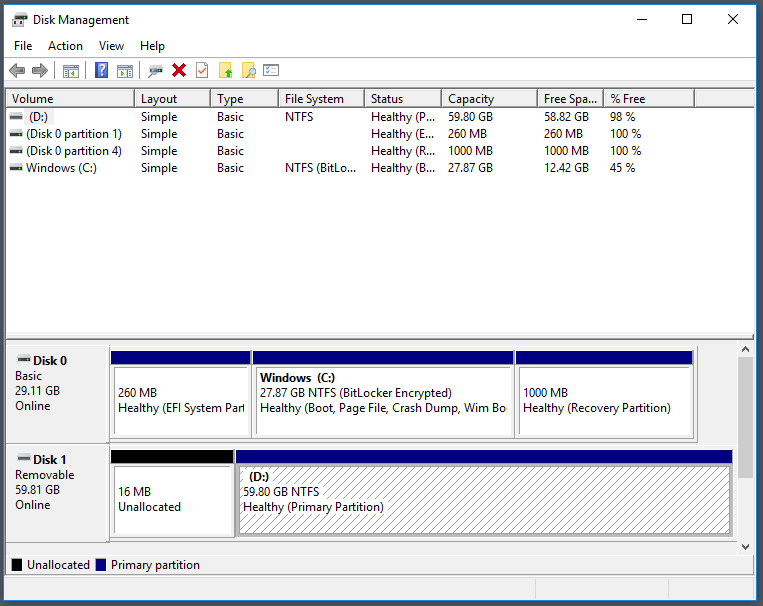 Press the Window Key and search for Disk Management. Click on the Create and format hard disk partitions. This will open the Disk Management window. Search for the Drive of your SD Card. This is listed as Removable. Then search for the folder that you have made (C:\SD Card). 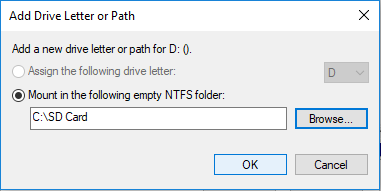 Select the folder then press OK.
You will now see that the folder that you created will be on the Mount Path. Press OK.
You may now close the Disk Management window. Go to the C: Folder and you will see that the icon for the SD Card folder is no longer the Folder Icon but it looks like an icon that says SD. 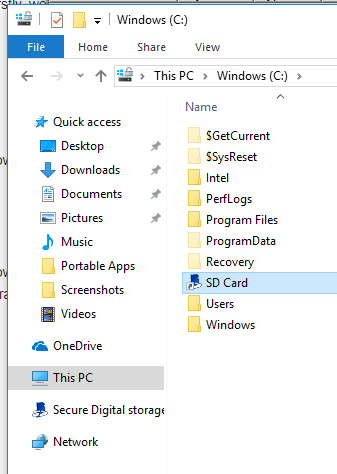 When you go inside the SD Card folder you will see that you are inside your SD Card but instead of it having a path different to C:, it is now mounted as a C:\SD Card. 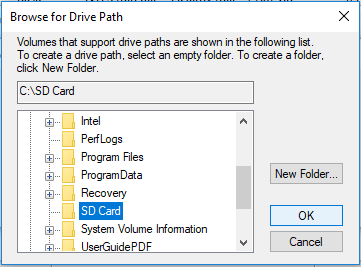 You may now set a path for software installation to C:\SD Card or point a Dropbox folder to sync to the same path. Does this help/solve the lack of hd space for Windows major updates on 32gb laptop with win10 do you know?? Indirectly yes if you move your installation and big files to the SD Card. 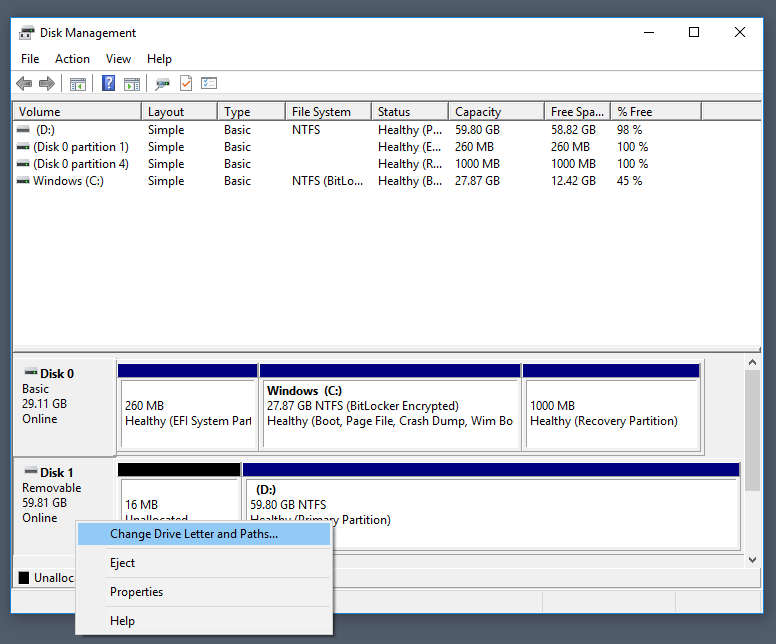 But it would be best to delete the previous installation of Windows which is being held by Windows on your 32GB drive if you do not delete it. 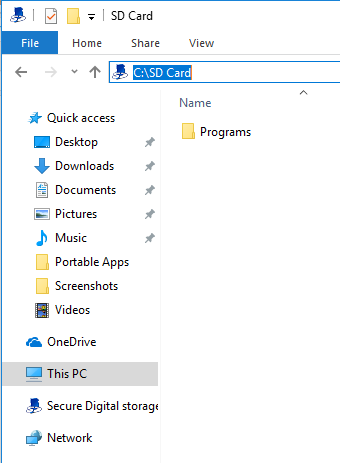 I have successfully mounted my SD card in drive c but the space of my local disk has not been affected, can I now cut the program files and past it in mounted SD card to free the local disk space without it affecting the PC? 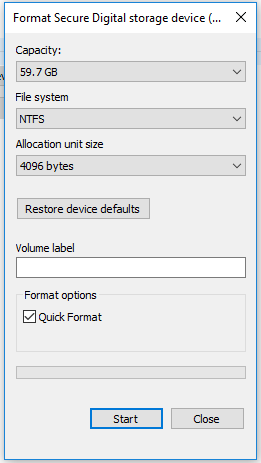 Hey Rich, making an SD Card permanent storage on your windows computer will not make the local disk (C:) increase the size. But you have to point the file path to where you mounted the SD Card, if you put a file here the SD Card drive will be affected not the local disk. But in terms of file path Windows System will think that you placed it inside your local disk. 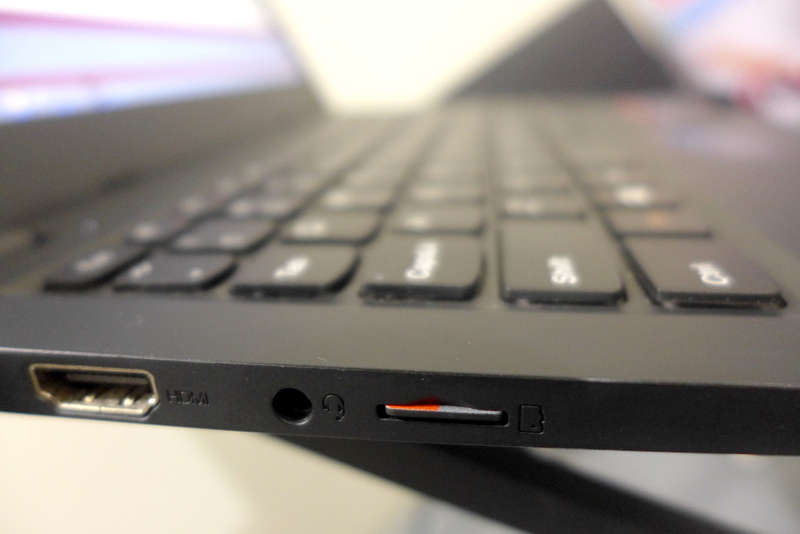 I just got a 2 n 1 convertible Windows 10 laptop from Lenovo with 128 GB of user ram. I did some research and found it has a Micro SD slot and will work with Micro SD cards as large as 512 GB, so I ordered one – which will not be here for 2 weeks. I had an unused 64 GB Micro SD card from my digital camcorder so intending temporary use only, plugged it in. I started downloading some Microsoft Store free Apps and demos. One demo, Fortezza Race driving demo needed 30 gigs to demo. I checked and had almost 62 gigs free unused on the Micro SD so decided to try it -and it started downloading in background, as I continued searching and installing several more free apps. Next day the driving racing sim program would not start. Closer inspection showed only 50 % downloaded. I found I could not restart the download to D:-SD card drive because insufficient free space now. 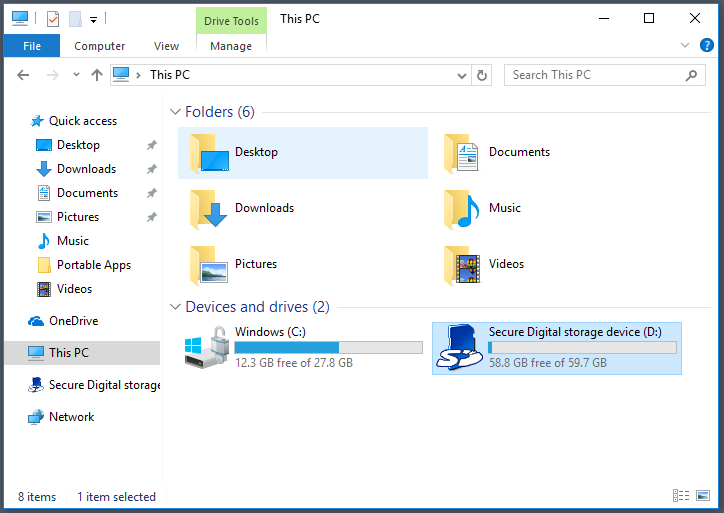 File explorer showed nothing on the drive other than a new, huge 38GB windows reserved system file, that I never asked for. 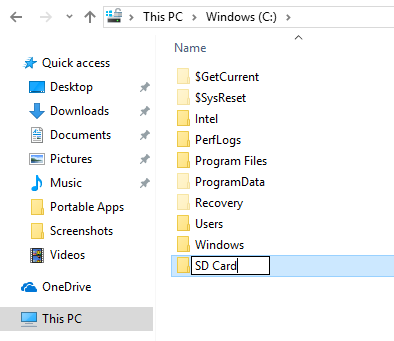 Finally my question..when my new SD card arrives, how do I tell windows to take off the extra system file, that it put on my SD card-drive first, so that the operating system and file system are not corrupted? 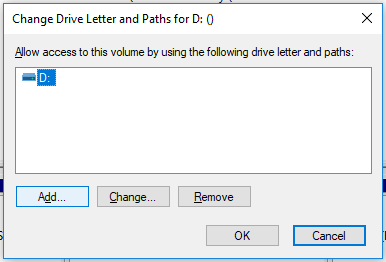 You can remove the path that you made for the SD Card. Then I think it would be better to format your SD Card then insert it again to make the unaccessible storage accessible again. what happen if i remove the sd card after making it permanent? any damages to the system or card? Tried it before. 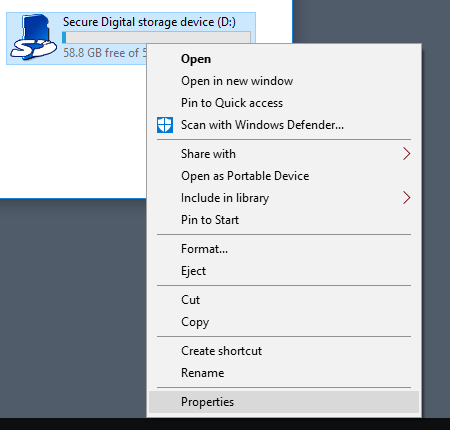 Windows will still work fine except when it needs to access files and programs via the C: drive path to the SD Card. Thank you so much! I had tried the mklink several times and it didn’t work. This worked perfectly and your step by step instructions were flawless.